Tri-County Regional Vocational Technical High School is pleased to announce it has been awarded $123,115 from the 2019 Massachusetts Skills Capital Grant to expand its Metal Fabrication program. The grant will allow integration opportunities between the Engineering and Metal Fabrication career programs. The Skills Capital Grant Program awards grants to support vocational/technical training, upgrades and expansion of career technical education, and training of high-quality career pathway programs that are aligned with regional economic and workforce development priorities for in-demand industries. 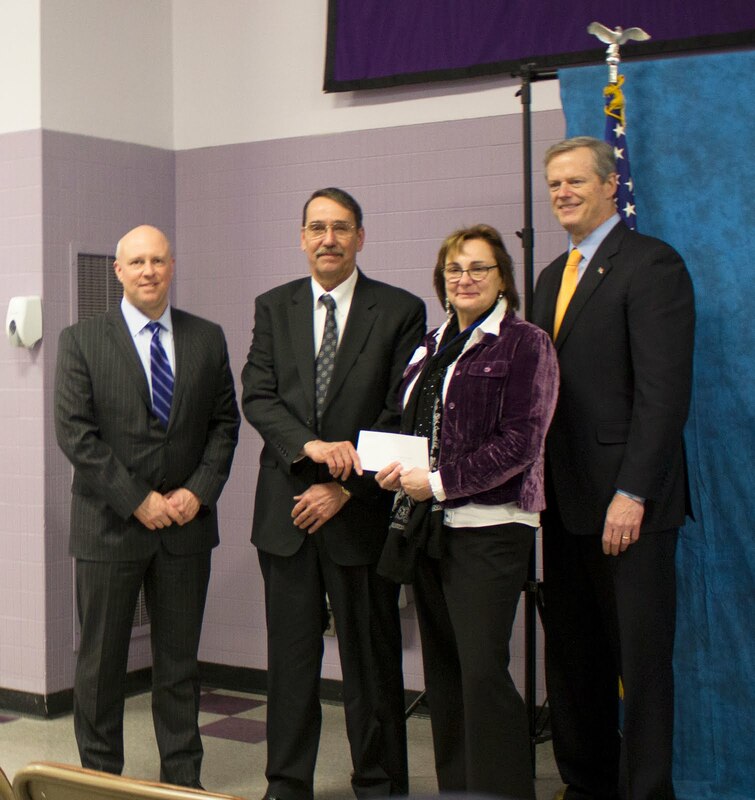 Tri-County was among 31 educational institutions in Massachusetts that were recently awarded workforce skills capital grants enabling the schools to acquire the newest technologies to educate students and expand programs. Skills Capital Grants, which are administered through Gov. Baker and Lt. Gov. Karyn Polito's office, are designed to help high schools, colleges and other educational institutions invest in the most up-to-date training equipment to give their students an advantage when they continue in their chosen field or particular area of study. The awards cover a broad range of fields, from construction and engineering to healthcare and hospitality. Tri-County will boost enrollment capacity in its Metal Fabrication program and enhance hands-on technical instruction to provide students with the knowledge needed for manufacturing jobs in the region. Funding will upgrade the training facilities with industry-standard equipment and give students access to a power roll, an ironworker, an industrial sanding belt, and two virtual welders. The program will support adult students enrolled in evening training courses, offered in collaboration with the region's MassHire board. "Skills Capital Grants impact the education of thousands of young people across the Commonwealth and give them new opportunities and skills for a successful future," Baker said. "We are proud of the 10,000 new seats that have been added to these programs across Massachusetts and we look forward to continuing our work with schools and teachers to give more students the experience and knowledge that employers demand." "The funding we have received from this Skills Capital Grant will be vital to expanding our Metal Fabrication program and will give more students the experience and skill set that employers demand," said Superintendent Stephen Dockray. "We are grateful and honored to have been awarded this grant by the Baker-Polito administration and are looking forward to seeing our students graduate with the competitive edge needed to compete for exciting career opportunities."